The Stevens Group, run by the fourth and fifth generations, is viewing succession as an ongoing process. Frederick H. Stevens Jr. started the business across from the Michigan Central Railroad Terminal. His brother Henry was part of the business from 1909 until he left to fight in World War I. Their father, Frederick H. Stevens, worked in the business as well. 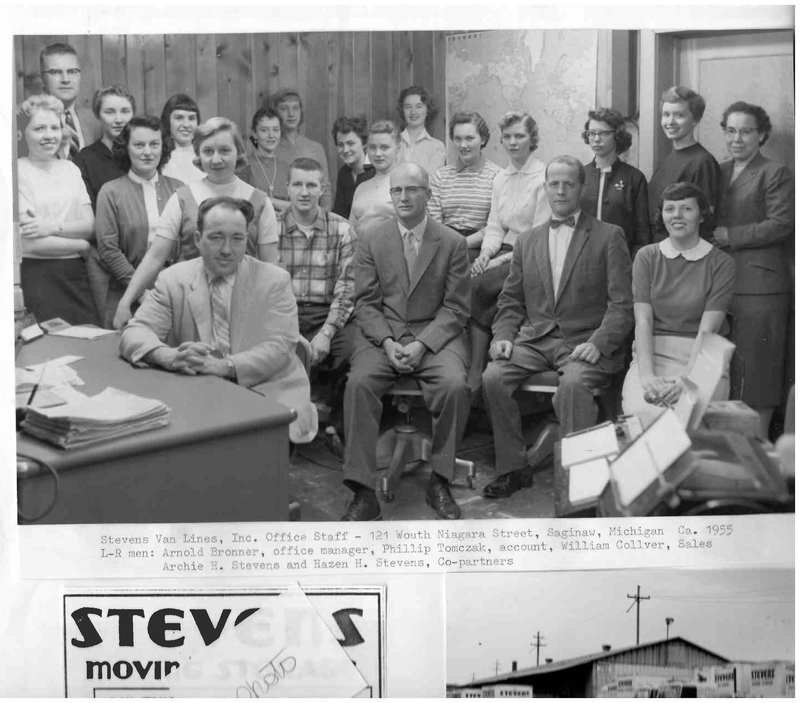 When the company was founded, there were no trucks and highways; Stevens Brothers moved goods from the railroad depot to local destinations. Although Frederick Jr. founded the enterprise, the family considers him as G2 because his father also worked in the business. By the 1930s, improved roads and trucks made it possible for regional movers to haul longer distances, leading to the rise of national van lines. Diversification into the furniture business helped Stevens survive the Depression. In the early 1940s, the business passed to Archie Stevens Sr. and his younger brother, Hazen, who were Frederick Jr.’s sons. “My dad would bring me down on Saturday mornings when he would work,” says Archie’s son Morrison (Morrie) Martin Stevens Sr., 70, now the chairman and CEO. “When I turned 16, I started working on the trucks.” He did this during summers from age 16 through college, the last two years driving a semitrailer. In the 1950s, the development of the interstate highway system—along with improved road conditions, an increasingly mobile society and larger semitrailers—resulted in productivity gains. The need for relocation services increased as large businesses established satellite locations around the country. Later, the rise of international corporations fueled demand for international moves. Archie Stevens Sr. bought out his brother in the early 1960s. In 1977, Archie’s four sons—Archie Jr., John, Jim and Morrie—took over. The fourth-generation sons worked together until 1986, when the oldest brother was bought out. Morrie acquired his other two brothers’ stakes in the business in 2003. These successive buyouts meant that the business entered the fifth generation with just four G5 siblings involved, rather than a proliferation of cousins. “We are a company that is 112 years old and, outside of the ESOP [employee stock ownership plan], all the shareholders are from one family branch,” says Lindsay Stevens Eggers, 41, president and chief operating officer. Morrie Sr. and his children together own 69% of the company; Morrie Sr.’s share is about 46%. The remaining 31% is in an ESOP trust. Morrie Stevens Sr. and three of his four children—Morrie Stevens Jr., Lindsay Stevens Eggers and Peter Stevens—along with Joe Biskner, the executive vice president, are voting members of the board of directors. Several outside advisers serve as non-voting members. 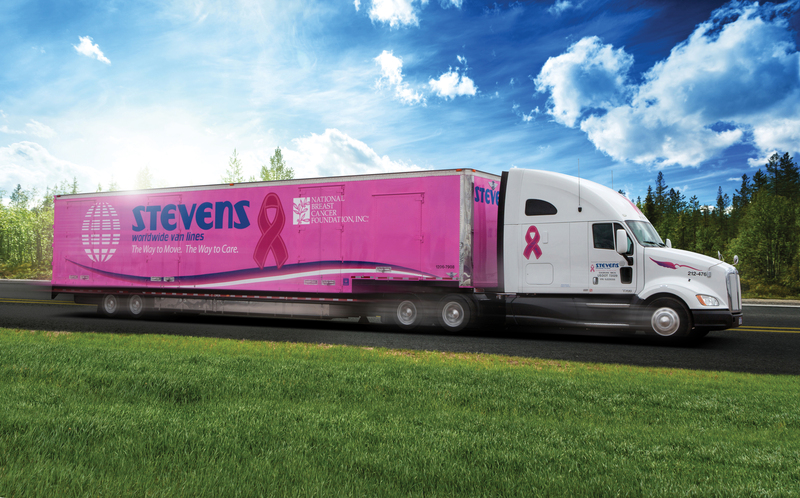 Today, The Stevens Group consists of four primary entities, the largest of which is Stevens Worldwide Van Lines. (The others are Focused Logistics, Military Domestic Forwarding and Stevens Forwarders.) The Stevens Group has nearly 160 employees and generated $95 million in revenues in 2016. 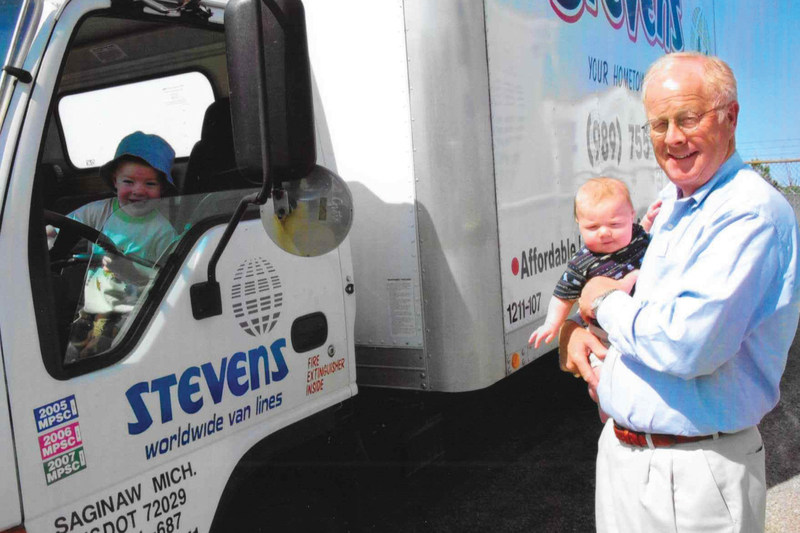 That year, Stevens helped 850 families with local moves, 9,400 families with longer domestic moves and 2,470 families with international moves. The company also performed more than 900 office and industrial moves. In 2007, Morrie Sr. wanted to start easing into retirement. In late 2016, the time came for a decision. The fifth-generation siblings called a family meeting to announce that their generation was ready to lead the company. “Our dad had been talking about succession planning, and finally we said, ‘We’re ready.’ We took the initiative and built the business case for change,” Stevens Eggers says. The challenges facing the industry figured into the choice of a future leader. “The industry has been impacted since 2007 by the declining mobility rate in this country,” says Morrie Sr. The number of people who moved declined during the recession, and even as the economy recovered, technology made it easier for people to change jobs without moving. “There has been a lot of shrinkage in the industry,” Morrie Sr. says. Given these external challenges as well as the complexity of the business, the group reached a consensus: Stevens Eggers, with her finance background, was the best person for the job. In the spring of 2017, Stevens Eggers became president and COO, and Biskner returned to his prior role as executive vice president. Stevens Eggers told the family she will probably leave the position after five or six years, since her husband may want to retire at that time. Whether she will assume the title of CEO before she retires has not been decided. The family members are already thinking about who might lead the company after Stevens Eggers. The two obvious candidates from within the family are Morrie Jr., 44, currently vice president of the commercial agency division, and Peter. Stevens Eggers came to her job via a consulting career with Accenture that took her to Paris, Zurich and California. “I never really thought I’d work for the family company,” she says. Her high school work experience at the family business was brief. On a summer vacation, she told her father she was interviewing for corporate finance jobs. He told her that the company’s chief financial officer was planning to retire in a few years and asked if she would be interested in joining the business to eventually take his place. She agreed, and spent her first two years rotating through the company to learn the business. During the three years after that, she worked directly for the company controller in the finance organization. She also completed an executive MBA program at the University of Michigan’s Ross School of Business. When the CFO retired, Stevens Eggers became vice president of finance, a position she held until she became president and chief operating officer. Peter developed a strong interest in the business as a child. “From an early age, I’d frequently come into the office with my dad on Saturdays,” Peter says. “I wanted to go out in the truck yard and climb in the trucks and honk the horns.” He started working for the business as a teenager, at first sweeping floors in the warehouse and maintenance garage. Once he turned 16, he began helping with moves. He got his commercial driver’s license when he turned 18. “The only thing I ever thought of was working for the family business,” Peter says. Immediately after graduating college with a bachelor’s degree in business administration, he became a relocation consultant at Stevens’ Cleveland office. Later, he worked in Sarasota, Fla., rising to general manager of that office. When a position opened up at headquarters, he and his wife moved back to Michigan. Morrie Jr. also grew up with the family business on his mind. “I was groomed to work in the business, starting at a young age,” he says. “I used to clean the tractors when I was 10 or 12 years old. I’d get paid 50 cents a truck to sweep them out and wash the windshields. When I turned 16, I started officially working on the trucks.” During high school and college he drove on regional moves. Once out of college, Morrie Jr. worked in sales in the company’s Detroit office for about seven years. He left for about a year and a half to gain some outside experience—and to allow his father, who was considering whether to buy out his brothers or sell the business, to make a decision without worrying about where his son would work. He returned to the company as western regional vice president, based in Denver, for about four years. He then moved back to Michigan to be closer to family and run the commercial agency division, which handles the company’s network of van lines for long-distance moves. Morrie Sr.’s 2003 decision to buy out his brothers led him to focus on educating his family about the business and formalizing its governance. A family council was established in 2004. The council includes family members and spouses, and each household has one vote. At first, the meetings covered the basics of the company’s finances, taxes and real estate. The council developed a family constitution and policies on issues such as family employment, compensation and charitable giving. The meetings have since evolved to focus on educating the shareholders about more complex issues, such as succession planning, leadership development, visions for the company and how to work through challenges together. The family selects a business book—like Jim Collins’ Good to Great or Bill George’s True North—to read and discuss at the next family council meeting. The family council also runs the Stevens Family Foundation, which is funded through annual private donations from Stevens family members. The foundation focuses on grants to local non-profit organizations that focus on youth, arts and education. Family council meetings also include time for the siblings to meet with a family business consultant, without their parents or spouses present. This allows the siblings to be transparent with one another about the support they need in their respective job roles and also to develop as a solid sibling team leading the business, Mehring says. For Mehring, the creation of the family council gave her both an education about the business and a stronger sense of connection to it. She had worked in hospitality for seven years after college, then joined the family business in residential sales in the Cleveland branch. She and her husband eventually settled in Milwaukee, and she returned to the hospitality industry. “I was struggling a little bit with not contributing to the day-to-day activities of the business,” Mehring says. Her mother, Julie Stevens, chaired the family council for the first three years. Mehring took over as chair when she left the workplace for a few years to raise her children. She later returned to do part-time marketing work for the company while continuing to serve as family council chair. 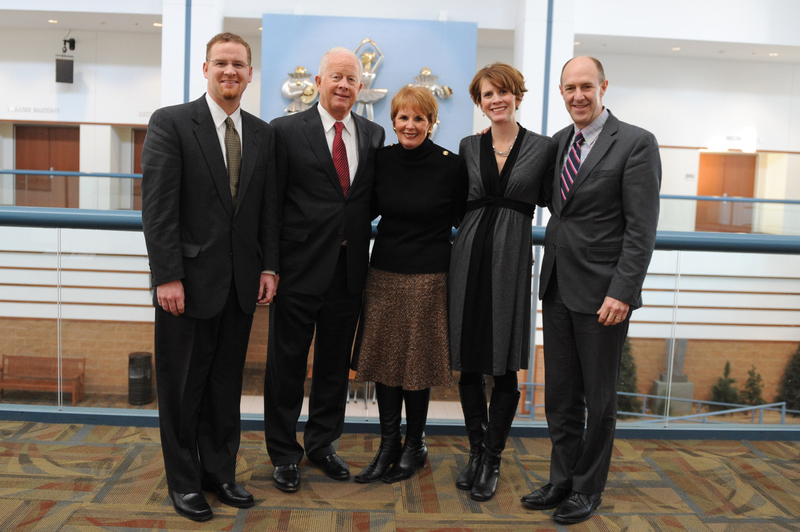 Today, the family sponsors the Stevens Center for Family Business at Saginaw Valley State University. Julie Stevens was the center’s first director and headed a campaign to raise an endowment for the center. The family is starting to consider how to extend its focus on education to the sixth generation, whose oldest member is just 12.